But in addition to the high volume shooting, Bryant could have the additional task in managing point guard duties. After Bryant closed out the Lakers’ 98-95 win on Tuesday over the Sacramento Kings at Staples Center, Lakers coach Byron Scott suggested that marks a sneak preview of things to come. Scott won’t start Bryant at point guard anytime soon. But it seems likely Bryant could close out games assuming that spot. He played most of the final 6:45 assuming that position while playing with Ronnie Price, Wesley Johnson, Wayne Ellington and Carlos Boozer. Nick Young then subbed in the final minute over Ellington. Jeremy Lin sat during that time. Scott offset his concerns about Bryant guarding Kings point guard Darren Collison by assigning Johnson that defensive responsibility. During that fourth-quarter stretch, Bryant set teammates up with three assists, threw down a fast-break dunk and dropped a three-point shot. Yet, that dynamic could have a residual affect. This creates an additional challenge for Scott to manage Bryant’s minutes, which he has mostly kept within the 30 to 40-minute range. Scott said he initially thought of this idea because “Jeremy is struggling and Ronnie is struggling” after posting a combined five points on 2-of-10 shooting and 10 assists. Yet, how all this plays out remains to be seen. Scott conceded uncertainty whether “you will see this on a regular basis.” But at least for one game, Bryant showed the formula worked. 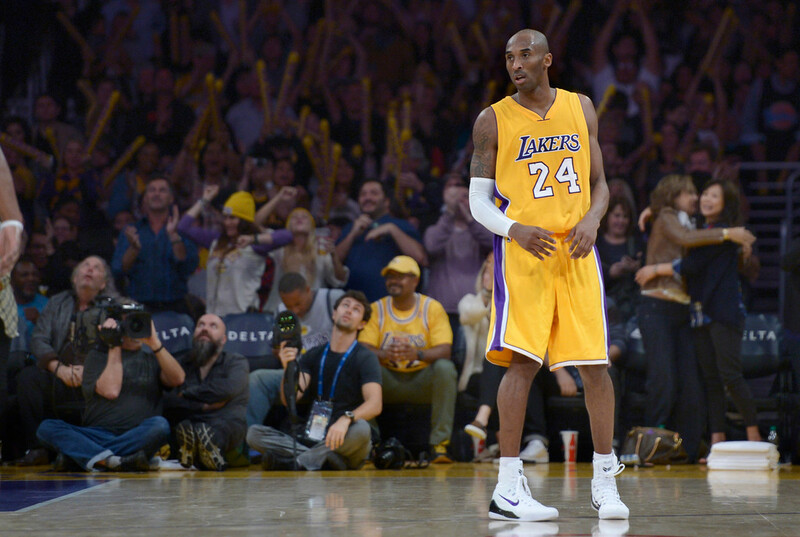 Does Kobe not already have the league’s highest usage? Last game was hardly the first time ever when the ball was mostly in his hands at the end of games (and for that matter, the entire game when he’s on floor). Byron Scott already plays Kobe like a PG, does he really need to come out and say that he might start him at PG, so who’s your starting SG now? I’m sure Kobe will still keep shooting. Maybe Lin is struggling because his offense system is just bad, it’s basically already Kobe system.